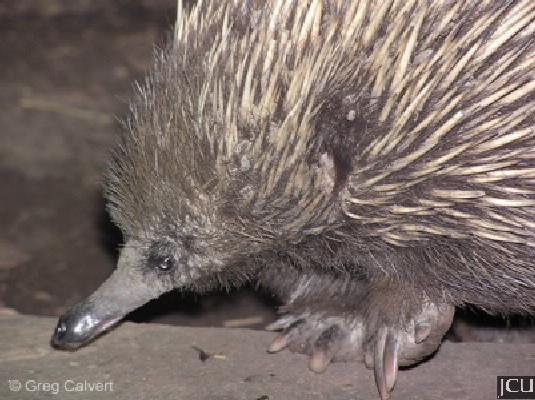 The echidna is rarely observed on campus, as it is chiefly nocturnal, presence may be indicated by the scats, particularly areas around creek banks. 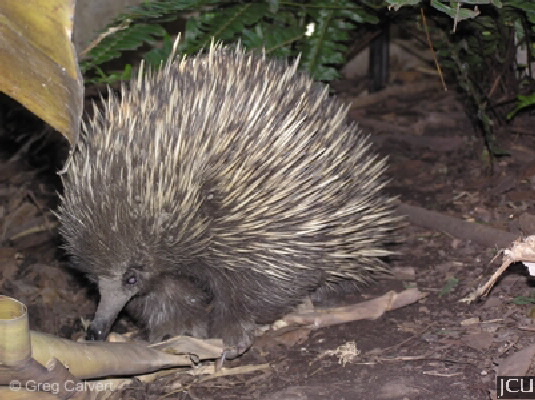 The distinctive feature of this animal is the long quills or spines. They roll up into a ball when disturbed. Feed on ants and termites.